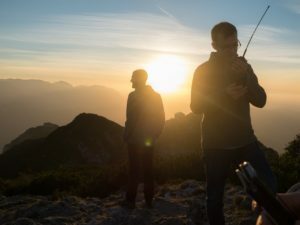 Following the YOTA camp in South Africa, the Austrian team was very enthusiastic and highly motivated to get more youngsters involved in ham radio. After we discussed the best approaches to the problems we faced and all the things we had learned during the TTT sessions in South Africa, we started discussing our plans with the OEVSV Youth Coordinator, OE3FTA, the President, OE3MZC, and other members of our society. The support we received was very large and the leadership of the society is equally as convinced as we are that it is necessary to increase the number of young members. Stage 1 of our plan is well underway with a network of youngsters developing around the Vienna area which meet at the OEVSV headquarters every Wednesday to discuss future plans, technology projects, contesting etc. OE3BVB, part of the Austrian team in South Africa arranged for 4 youngsters who have limited to no contesting experience to take part in the CQ WW SSB contest at a major contesting station. A number of similar projects are developing which are bringing the group of youngsters closer together whilst also expanding it. 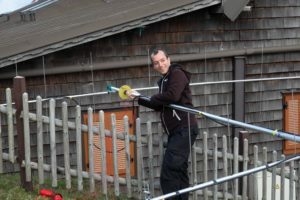 A few of the youngsters also participated in the IARU Region 1 VHF contest with the call OE1W, a great opportunity to learn about VHF stacks and a very fun weekend of antenna building and operating. Stage 2 is proving to be more difficult as we have not been able to get access to a comprehensive list of licensed youngsters, this is mainly due to privacy and data protection regulation. We will have to find a way around this problem to be able to find those youngsters who were licensed but are no longer active. Stage 3 is not our priority at the moment, however lots of ideas have come up and there is a lot of enthusiasm for a number of possible projects in this stage. One example of the work which we are actively doing at the moment is the JOTA event which will be co-organised by OE3BVB. 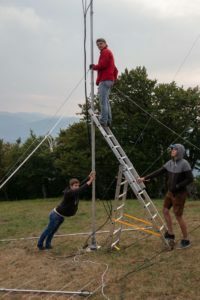 Apart from this there is a lot of work being done by other society members, for example a number of courses for the radio examination are offered at government organisations, technology and soldering workshops such as building antennas and presentations on all kinds of interesting topics. What we have learned so far is that it is very important to have a lot of communication between youngsters, in our case this is quite effective with the weekly meetings, however members who are too far away to join these can communicate via whatsapp/telegram groups. This seems to be the most important factor for existing youngsters as many did not know any other hams of their age before and can find a completely different environment which is much more interesting and engaging in these groups.